The emissions that result from the delivery of our products is currently something that is very hard to deal with. Until alternative fuels become more viable (or until those in charge actually do something with teeth like raising fossil fuel prices to appropriate levels) there is not much that we can do to change this. Dedicated biofuels and recycled biofuels are not available cheaply enough nor reliably enough for our carriers to be able to shift across to them in the near future. To do something towards counter balancing our transport emissions we subsidise fuel efficient stoves on a monthly basis. 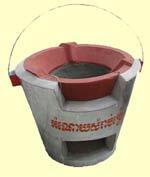 This reduces deforestation as well as improving the lives of the people who use the stoves because they need less fuel. We do not claim to have carbon neutral deliveries but at least we are doing something. We book a lot of our parcel deliveries through P4D. P4D have teamed up with OxTreeGreen so they offer a service by which they calculate the CO2 emissions as a result of that delivery (based on the weight of the parcel and the method of transport used) and then offset that via tree planting. All our deliveries booked through P4D automatically make use of this feature. OxTreeGreen have various tree planting projects across the UK, increasing the size of existing woodland, reducing soil erosion and water run off from steep land, forming windbreaks for livestock, replanting hedges. I know some people are sceptical about offsetting but these projects are good in their own right even if you ignore the carbon capture element. 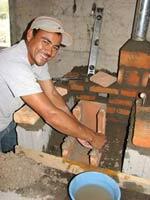 Every month we subsidise a Justa stove which is built in Guatemala or El Salvador. Each of these stoves saves on average 5 tons of CO2 over a 5 year period and improves the lives of the families that have them.